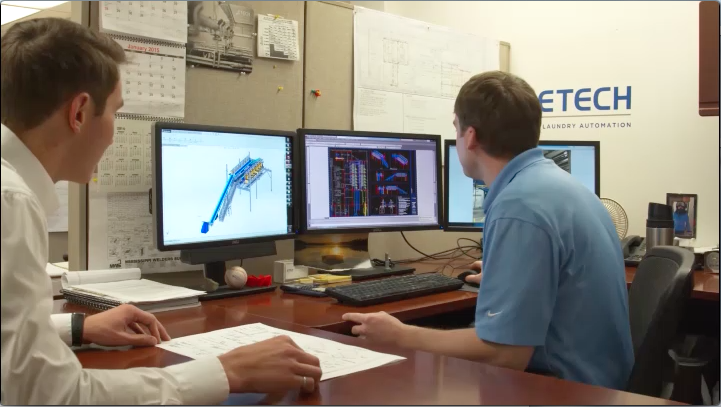 Our extensive knowledge of processes and materials is backed by our superior software, engineering, manufacturing, and installation capabilities. Count on us for the most innovative products and expert service. 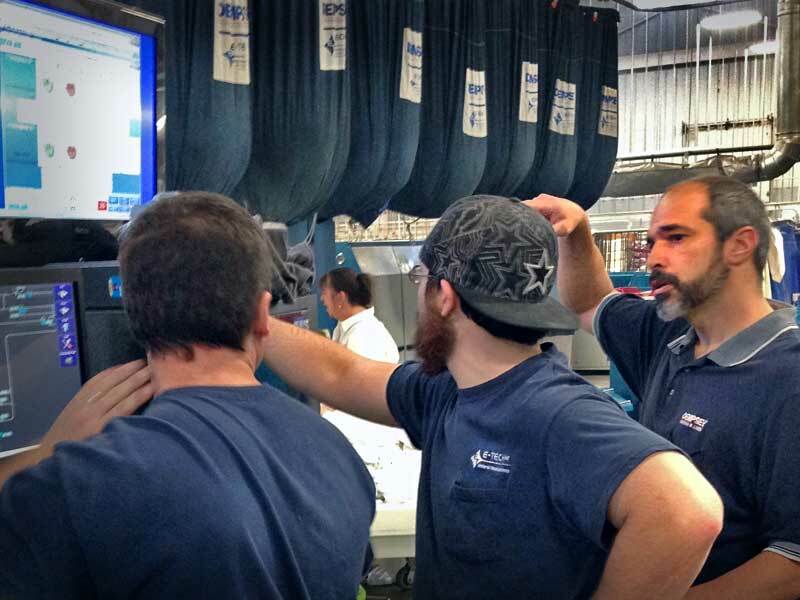 With more than 60 years of combined industry experience, E-Tech’s sales engineering team provides timely, innovative, and creative laundry handling solutions. 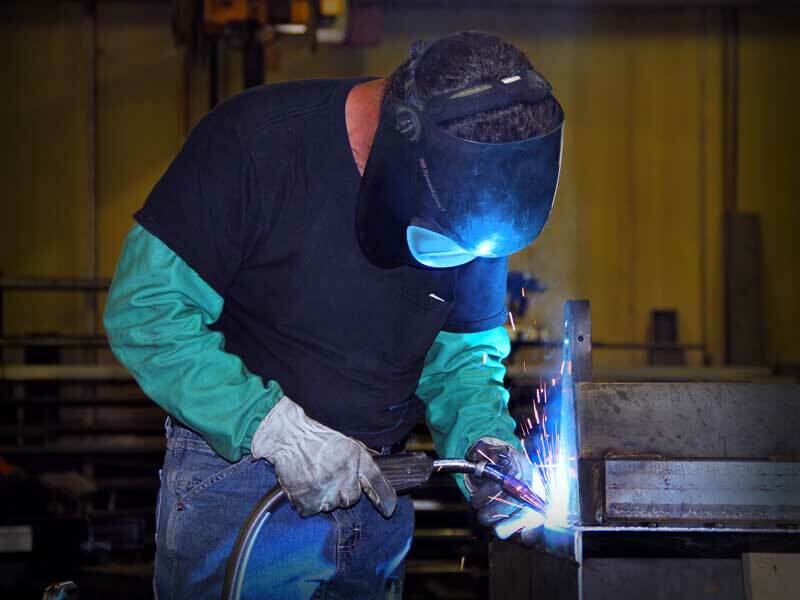 Our experts will develop a customized plan to address all of your production automation needs. Wherever you need us—across the country or around the world—our Sales Engineering team is dedicated to building an enduring and profitable partnership with you. Our goal is to get your system into full production as soon as possible. 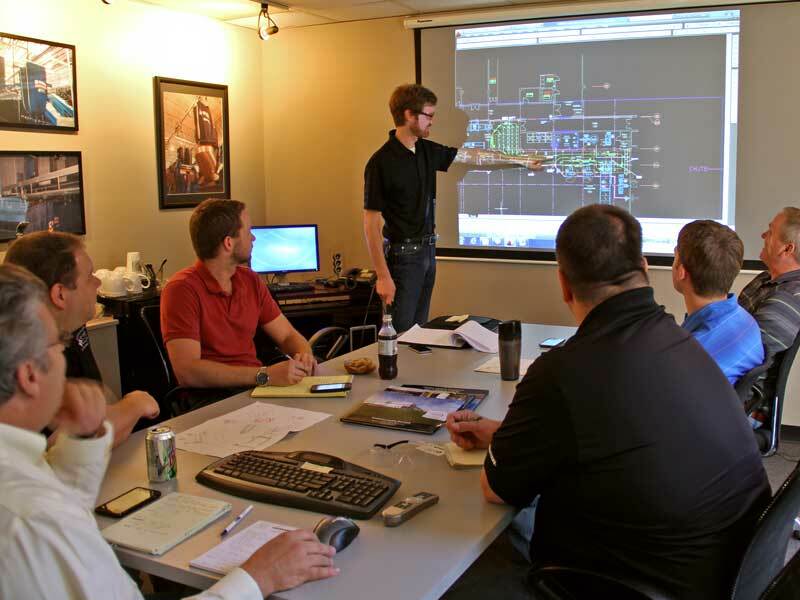 Our project managers and staff ensure that your system is built as promised. Your E-Tech team will communicate with you every step of the way. Our team develops the coordination drawings and other necessary information, including clearances and functional requirements, to build and integrate your material handling system with the other equipment in your facility. We partner with virtually every major equipment manufacturer in the industry to ensure seamless functionality and optimal productivity. Optimize process. Anticipate problems. And make informed decisions. Our eVue Laundry Management Software is recognized as the industry’s leading software solution. 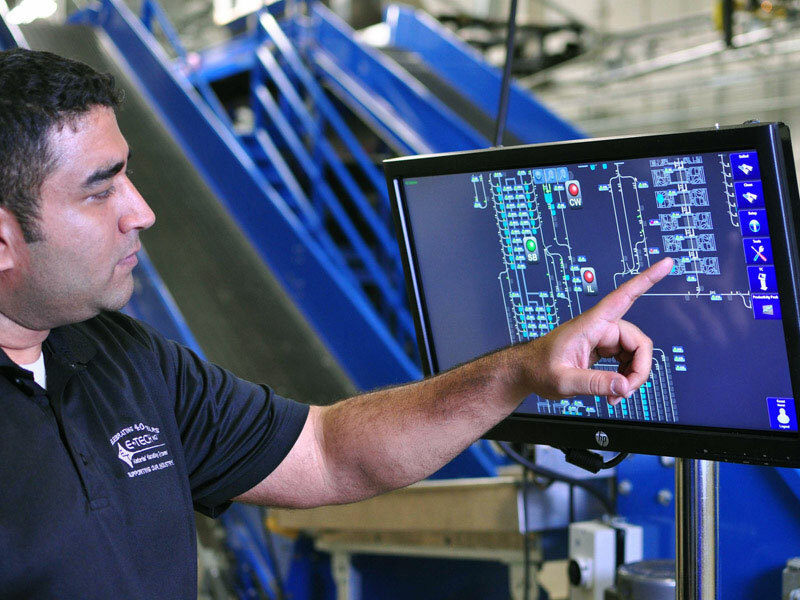 eVue encompasses material handling control, plant production management, and labor tracking capabilities. 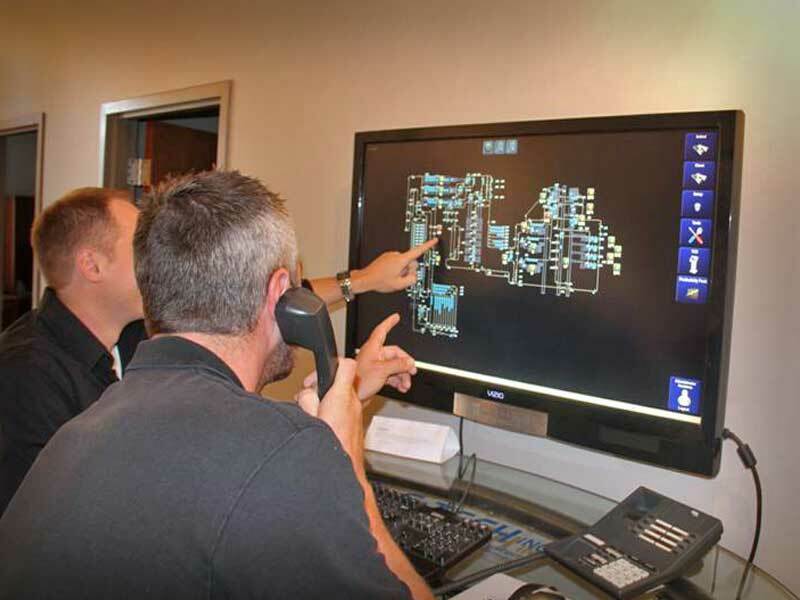 Our in-house developers customize software and equipment specifically for your facility. The installation coordination team is focused on getting you to your first day of production. Our experts will coordinate and schedule the arrival of personnel and equipment. With many years of experience, and more than 64 automated installations since 2006, we have successfully installed systems of all shapes and sizes worldwide. Before your installation is complete, our system commissioners prepare a detailed plan to confirm that we have provided everything you were promised. The commissioner will also coordinate the commissioning (first day of production) with you. When the installation is complete, your commissioner will arrive on site and test the system for functionality to make sure it is ready for full production. Our trainers will teach you how to maximize workflow and productivity in a safe and efficient manner. A member of our Systems Performance Team (SPT) arrives onsite at the end of each project to provide complete systems training. You’ll receive the knowledge and tools you need to maximize your system’s performance and extend its flexibility. 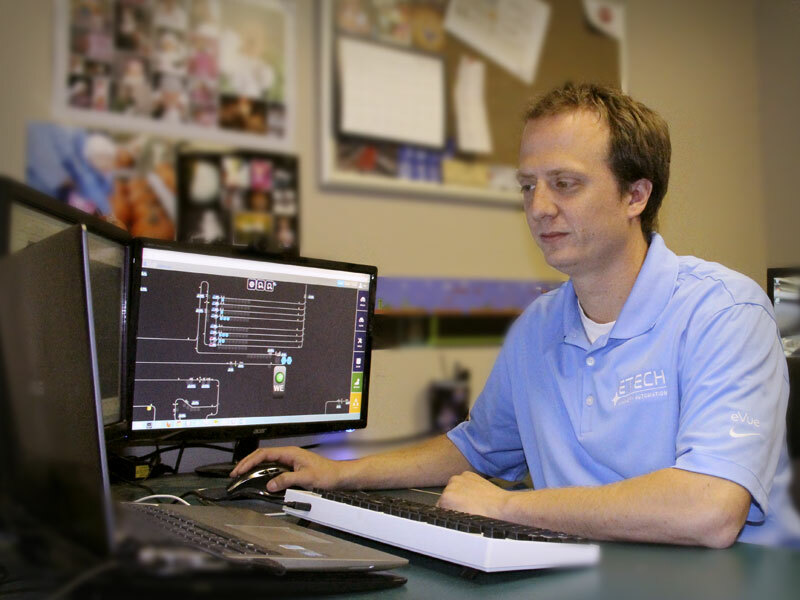 E-Tech's commitment to support begins before the project is commissioned and continues through the life of your system. 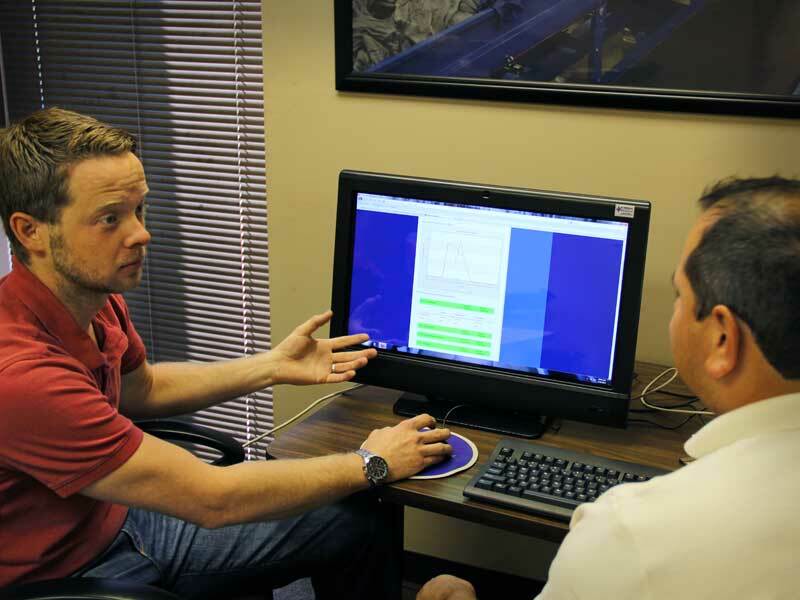 Weeks before your first day of production, our System Performance Team (SPT) starts planning how we can best anticipate and respond to your needs. 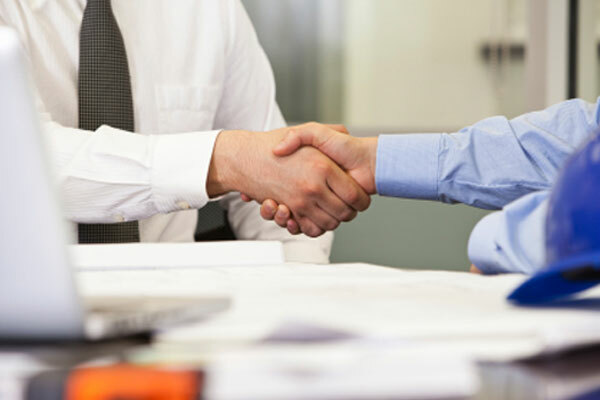 Count on our lifelong commitment to outstanding support and personalized service.